Due to it's short lifespan (1982-1984), there aren't many major 5200 label variations. Here are some of the more significant ones. Silver 1 - Thin Stripe The earliest label that 5200 used. The Atari 5200 logo is large and centered across the top of the silver label, with the 5200 going down the side of the word Atari. Underneath the logo there is a thin blue stripe with the name of the game written on it in white letters. The picture is centered underneath the blue stripe and the copyright info is written in black under that. Atari used this style from 1982 to early 83. Silver 1- Thick Stripe Looks the same as the Silver 1 Thin Stripe, but the blue stripe with the game title is much thicker, almost to the point of being a box. Other than the size of the stripe the label is basically the Silver 1 style. 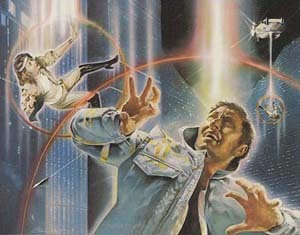 Atari used this style in 1983. Silver 2 Atari decided to redo the the 5200 label style in late 1983 with a new look. 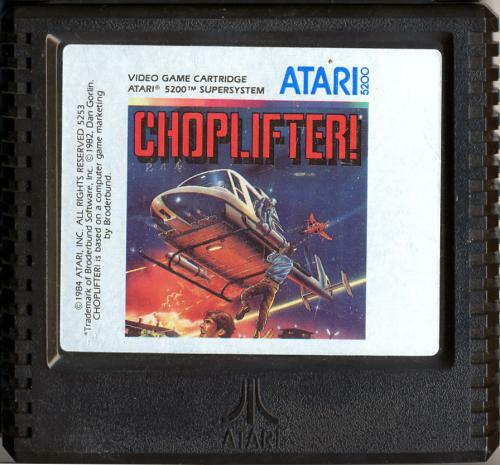 Instead of having a small picture with a blue name stripe, Atari decided to use the game's original title font and increase the picture size. 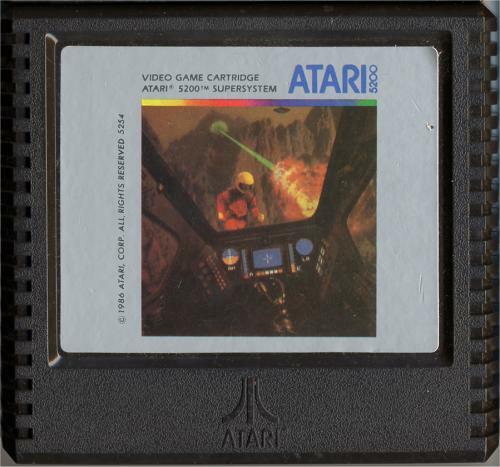 The Atari 5200 logo has been pushed to the upper right hand corner, and the copyright information was moved to the left of the picture. 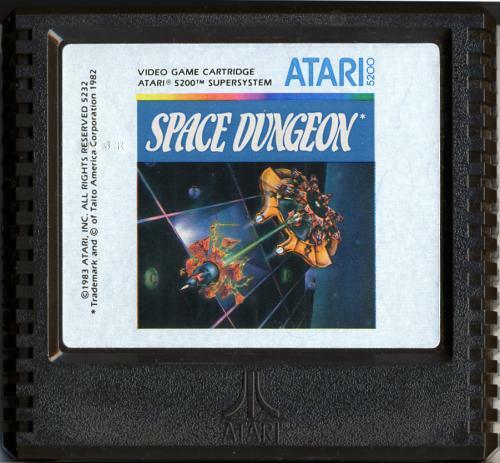 Starting in 1986 Atari re-released some games in this style, but changed the shiny silver label to a dull gray (most likely as a cost cutting move). Atari used this label style for the rest of the Atari 5200's life (1983 to 1986). No Name For some odd reason Rescue on Fractalus, and Ballbalzer (both Lucasarts games) don't have the game title on the cart anywhere. The only indication of what game your playing is the picture (which makes it pretty easy to guess). 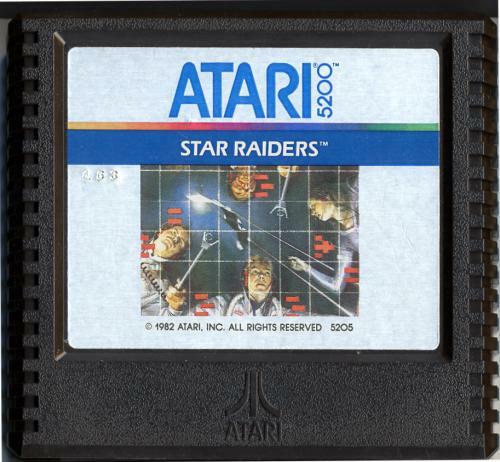 The 1986 Atari re-released Vanguard in this style, and Space Invaders is also rumored to exist without a title.